Do you ever slave over a post knowing its awesome but then no one comments or shares? You wonder what happens. Why isn’t anyone responding to my masterpiece? That might be a little over the top but you know your post is good so what’s wrong? Well sometimes especially if its a long post without much formatting, its gets dull and difficult to read. There are so many things tugging at people’s attention these days if your blog doesn’t catch their attention they may just click away without another thought because something else did. White space is your friend when it comes to writing blog posts. A paragraph should only be two to three lines giving your readers a second or two to move to the next paragraph. 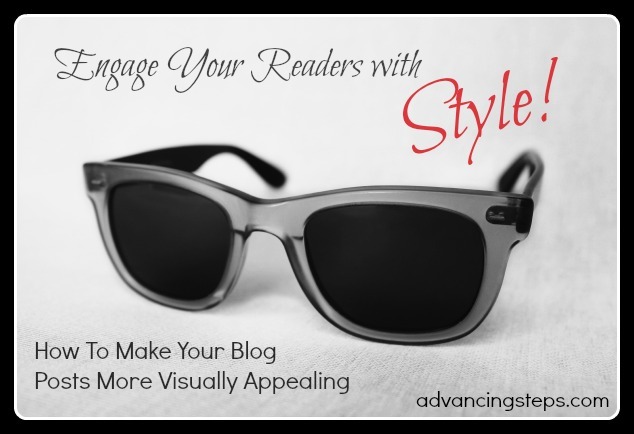 Your readers want to take in your message without being intimidated by the sheer volume of your post. Break it up so your quality information flows to your readers mind in an appealing way. When I write my posts I have the title as Heading 1. Then I write an intro to what it is I’m planning to talk about and then when I get to my first point I create a subheading and format it with Heading 2. So it’s big and bold but just a bit smaller than the title. Then under that heading I will write a few paragraphs. As my focus changes to the next point I will have another subheading breaking up the content so the reader can take in the next batch of information. You may want to bold or italicize important messages but I tend to use these sparingly. These are just some more ways to break up the content to make it easier for your readers. Here’s an example of a blog post I wrote that’s not too long but it incorporates many of the items I’ve talked about to make what could’ve been a quite boring post something easy and engaging to read. People are attracted to pictures. It’s obvious with all the camera phone, Instagram and Pinterest. So give the people what they want! You can find free photos for on Stock Xchange or Morgue File to add to your posts. You may be able to find some appropriate photos for your posts there but if you need something a bit more polished you can go to stock photo site. There are many stock photo sites but my favorite is Deposit Photo. For quick editing or adding words to photos I like to pop over to Picmonkey. Its really easy to use and many of the features are free. What methods do you use to spice up your blog posts? Please let me know in the comments. Do You Doubt Your Ability to Come Up With Great Content? Samantha, I have been struggling with adding pizazz to my new blog, and this post gave me some great ideas! I have noticed what great images you have on you blog–they always do just what you say they should! 🙂 Now that I know your secrets, I can use them too! Thanks!